Was up in British Columbia in late June and saw these two big expensive road signs - just on the southern edge of Nakusp, BC. Dedicated to our sport for this season! 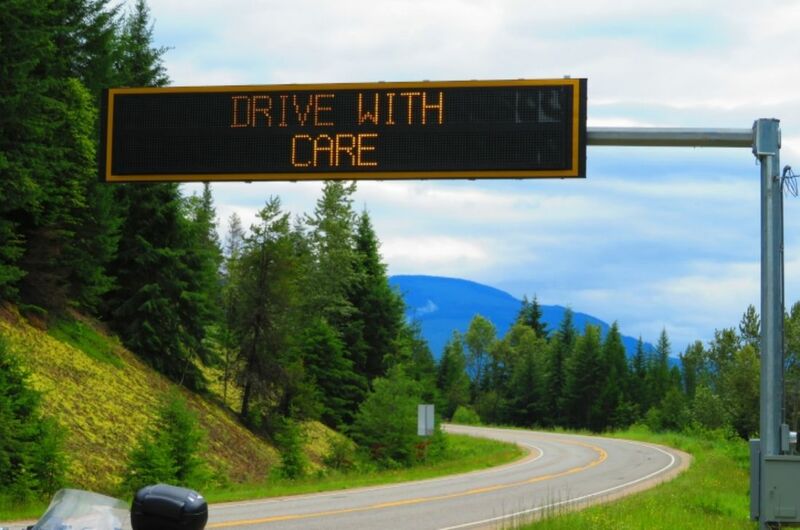 Just watch out, the BC government may love you, but Moose give precisely zero fucks. Yeah I just got to love Canada for signs reminding people that motorcycles are out there riding too. But you want to talk about real warm fuzzy signs, in Nice in the French Riviera they have these great sayings at the tram stops. My favorite one, translated, is "today nothing is impossible.